For those worried about the rise of propaganda in America, this is a troubling development. This April, a reporter for a Sinclair-owned TV station revealed that she was fired for refusing to add conservative talking-points to a climate change story. This followed weeks of controversy, including revelations that the media giant had forced local news anchors to read identical scripts denouncing, in Trump-like fashion, “fake” news. More recently, in a speech this May, Hillary Clinton specifically called out Sinclair (alongside Fox News) for "delivering propaganda." Sinclair Broadcasting Group, the largest owner of local television stations in America, is still not a household name like, for example, Fox News. Yet it may be the truest heir to former Fox News chairman and CEO Roger Ailes’s original vision of conservative news programming. 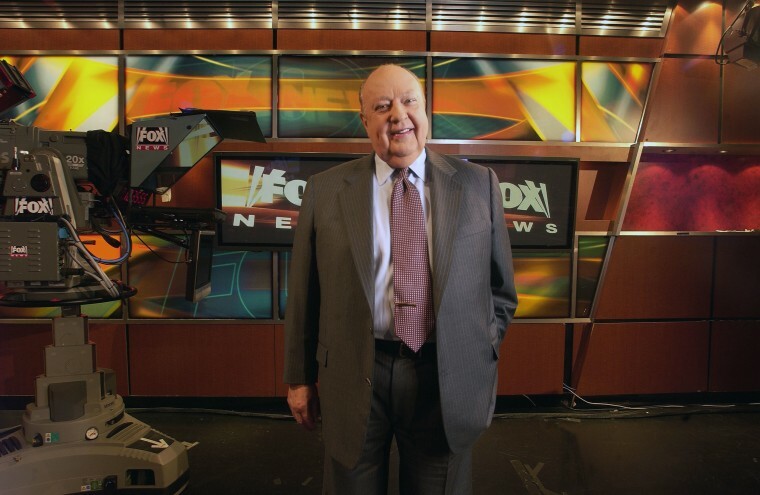 Long before cable news, Ailes — who died in 2017 — had been dreaming up ways to inject local news programs with a conservative spin. Many Americans are only now discovering Sinclair Broadcasting’s conservative politics, and few may know which stations the company actually owns. Many Americans are only now discovering Sinclair Broadcasting’s conservative politics, and few may know which stations the company actually owns. Because Sinclair is now trying to buy Tribune Broadcasting, though, it is ever more likely to be their local station. Millions more Americans tune into local news than national news — and trust local news far more. Local stations are also rarely tarred with an ideological brush — unlike Fox News, which is known for its conservative bent. If the Federal Communications Commission approves Sinclair’s expansion plan, it would own TV stations able to reach around 70 percent of U.S. households. (The FCC appears unlikely to block the deal.) That’s an astounding market share, and the reason Sinclair Broadcasting may well end up being more powerful than Fox. Decades before founding Fox News in 1996 — indeed, before cable news or conservative talk radio existed — Ailes dreamed of conservative local news. He found a partner in President Richard M. Nixon, who had his own festering grudge against press coverage. Every time Nixon appeared on television to speak to the American people, political analysts would quickly follow to dissect — and, at times, decimate — his arguments. Nixon saw this as fundamentally unfair: As president, he should be allowed to address the people without news commentators having the last word. Rather than targeting the major networks, Ailes focused on local news — those trusted, hometown sources. Ailes, who had worked with Nixon’s presidential campaign and then the administration as a media consultant, offered a solution. He devised a response to the response with pro-Republican news. But rather than targeting the major networks, Ailes focused on local news — those trusted, hometown sources. Ailes weighed in with a 1970 White House memo, “A Plan for Putting the GOP in the News." His idea was simple: Create administration-friendly “hard news” packages to send to local news stations across the nation. The packages would help cash-strapped local stations fill airtime — and promote the administration’s message. Clearly, Ailes realized the power of local news. By going to individual stations rather than the three biggest national networks, the Nixon White House could sidestep what the memo called “the censorship, the priorities and the prejudices of network news.” Viewers would also be far less suspicious of packages aired on their hometown news programs than those broadcast from the far-off urban centers of New York and Washington. Nixon’s chief of staff, H.R. Haldeman, gave the project the innocuous name, Capitol News Service, and handed it off to Ailes. But the project never got off the ground, and a year later the Nixon administration severed ties with Ailes. Personality differences fueled the split: Nixon never quite trusted Ailes. So Haldeman was charged with gently dissolving the relationship. Ailes’s dream lived on, though. In 1973, celebrated brewer and conservative millionaire Joseph Coors bankrolled Television News Incorporated, another blandly named project designed to produce conservative news packages for local TV stations. Ailes was brought in the next year to whip the project into shape. He failed, and TVN was soon shuttered. Nonetheless, a media shakeup was coming. By 1980, CNN had cornered the market in cable news. Ailes teamed up with Rupert Murdoch in 1996 to launch his response: Fox News. The new network served up a mix of conservative entertainment, opinion and news while regularly disavowing its political agenda — “Fair and Balanced,” as the tagline went. In remaking local television news Sinclair will have the ability to influence far more Americans than Fox News could ever hope to. In remaking local television news — one of the few remaining news sources Americans actually trust — Sinclair will have the ability to reach, and influence, far more Americans than Fox News could ever hope to. For those worried about the rise of propaganda in America, that is a troubling development. But for those rooting for Ailes’s vision of a conservative answer to mainstream news, it’s a dream come true. CORRECTION ( June 12, 2018, 12:30 p.m. ET): An earlier version of this article misstated the scope of a potential Sinclair-Tribune merger. If Sinclair buys Tribune Broadcasting, it would own TV stations available to around 70 percent of U.S. households, not 70 percent of all stations.